Original itinerary published on VioletFog.com. I have a big, BIG space in my heart for the Wharf. I get why it is seen as so “tourist-y”… because it is. But there is also so much more to it. So much that people overlook. SO MUCH FUN TO BE HAD. No, I’m not kidding. You are doing yourself a disservice if you live in SF and havn’t treated yourself to a day at the actual bay. I feel SO LUCKY to have worked with the city’s waterfront for this article because it’s been a goal of mine to get actual San Franciscan’s excited about the wharf. I planned a whole day with my friend, Natalie (from @BakeNoFake) -also a local- and we explored and had fun at these spots that normally only tourists will visit. We had the BEST DAY. We laughed, we played, we ate, we learned some San Francisco history, it was wonderful. A day well, well spent. If you are looking for something fun to do- let me tell you how to spend a day at the Wharf! Let’s say you don’t do Alcatraz. Have you ever taken the famous cable cars before? It’s iconic to SF. I haven’t done this since I visited with my Mom ten years ago. 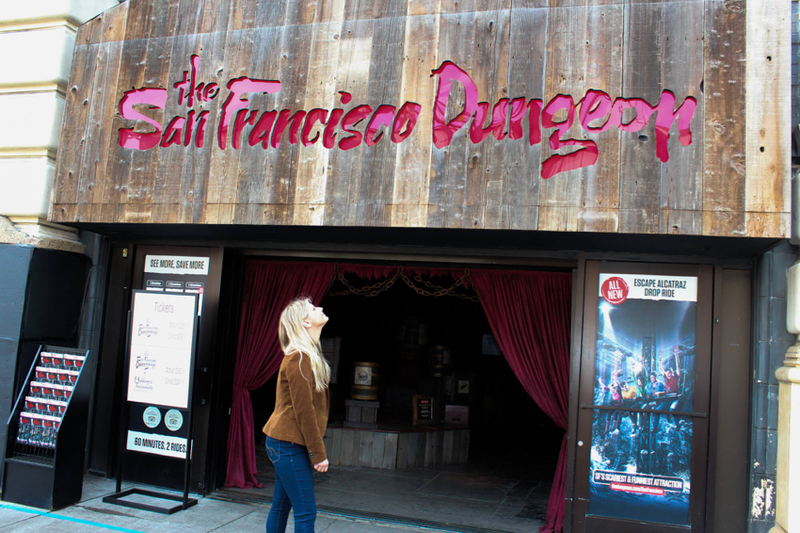 It’s cute, it’s fun… there are tours all over SF. We just took a quick trip down to Fisherman’s Wharf from Pier 33. Holy freaking MOLY. 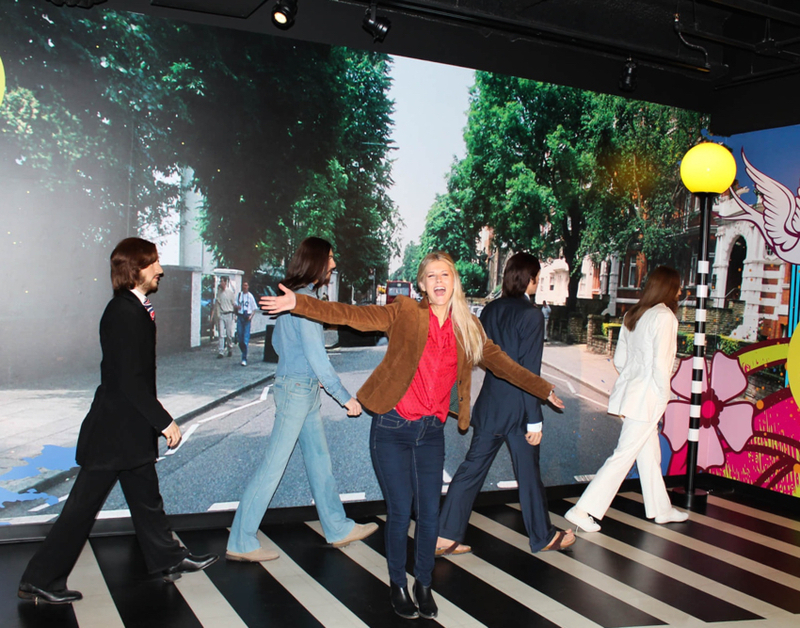 I can’t believe I haven’t gone to Madame Tussauds before! This wax museum is NUTS. NUTTTTTTTTS. The time and skill that goes on to putting these statues and rooms together. It is truly such a work of art. At first Natalie and I kept thinking these statues were going to come to life! It really FREAKS you out at first. I mean there are ever broken capillaries on these statues! (Unless it’s someone with perfect skin a la Beyonce.) What is so cool about the one in San Francisco is the first part of the experience offers all these San Francisco history. From North Beach, to China Town, to the painting of the Golden Gate Bridge and the man behind it! You really appreciate San Francisco in a different way after walking through it. I promise you, you will have this sense of “so cool that I live here” upon walking in these rooms. There are so many iconic figures that just take your breath away when you see them up close. The detail is insane. From Rosa Parks, to President Obama, to Steve Jobs, to Gabby Douglas (2012, 2016 Olympic Gymnast)… it’s spectacular. If you are ready for a bomb.com meal with a SPECTACULAR view from an eco-conscious place…. Fog Harborbaby. Fog Harbor. I’m going to use this word again because it just envelops so much of Fisherman’s Wharf:iconic. This is such a special place to dine. It is decades old and family run. I remember coming here after my 8th grade graduation to celebrate. It was a big deal to eat here! To be back was really cool. How did I not know about this hotel?! Hotel Zephyr is so cool! Y’all- us SFers are missing out. This place is open to the public and– has an entire GAME ROOM. Drinks! The most DOPE outdoor patio with fire pits and cool chairs and games to play. I mean oh my God, this place just looks like an adult playground. Definitely worth a visit with your friends!